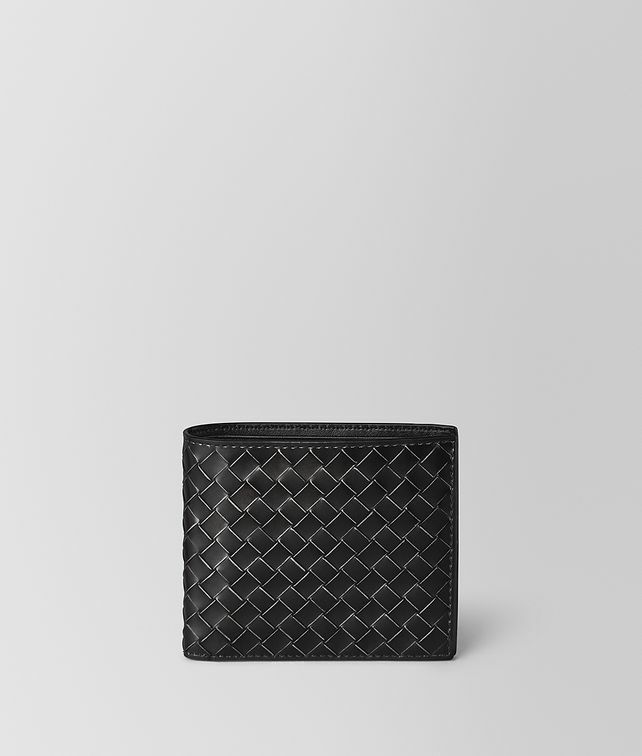 This bi-fold continental wallet is crafted from brushed calf leather with a subtle metallic finish. The silver-tone highlights give avant-garde edge to the iconic intrecciato weave. Practical and roomy, it's equipped with eight credit card slots and four str for organising notes and receipts.